The island of Sicily is where I first flew into to start my visit to this country. Palermo is not what I expected. My first thought was that the rest of Italy had forgotten about this island. Palermo is rather dirty and smelly and even more so down at the port. There are the usual things to see here like palaces, castles and churches. Crazy drivers abound everywhere like there are no road rules and there is relentless noise and pollution. The noise goes on to the wee small hours. There are crumbling buildings and then there are nice fountains. Lots of shopping and markets for the tourists. I only spent the one day here and to be honest that’s all you need to see Palermo. There is no actual bus station to speak of, just a square where all the buses park up, and this is where you go to get to your next destination. AGRIGENTO Built on a hill as lots of other Sicilian towns, it looks down on the Valley of the Temples. The temples are majestic and in some ways more impressive than the Acropolis of Athens. The town itself has modern shopping and lots of restaurants and bars. It also overlooks a fabulous beach and small harbour full of colourful sailing and motorised sea craft. There is a magnicent cathedral built in the year 1000 and Museum of Archaeology. All in all this is a great place to stay and just cruise at the pace of the locals. Relax on the beach and enjoy Italian food. I liked it here and it’s a very friendly enjoyable place to visit. SIRACUSA This is another lovely town which has an old and new part to it with archaeological ruins. 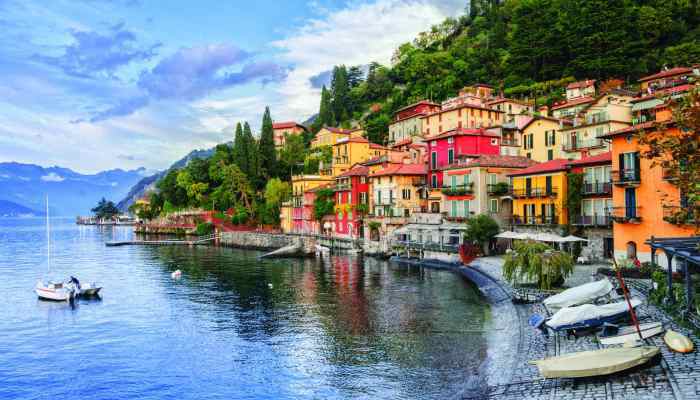 The old quarter is an island known as Ortegia. This is an interesting little place to wonder through the winding streets and see some impressive old buildings and an ancient Greek Temple. Then there is the archaeological site called Neapolis with a huge amphitheatre. This whole site is large and takes a lot of time to get around. Great photos from here of the site and town and a great view out to sea. Don’t forget to visit the Museum of Archaeology. There are also heaps of places to visit just outside of this town. This is not a place where you will be lost for things to see. ROME Large city, crazy drivers and noise but with the added advantage of Trevi Fountain, the Colosseum, Vatican City, Roman Forum and something at every corner. Wow where to start! Bars, cafes and restaurants. Great metro system and buses to get where you want. A good excursion to do is the Vatican Museum Walking Tour. It takes in the Sistine Chapel, Raphael’s Rooms and St Peter’s Basilica. There are discount tickets to nearly everything you want to view. There are countless places to see but apart from the impressive Colosseum the Palatine Hill Archaeological site has to be second on the list of must see. It is still awesome today and must have been something to see when it was a bustling city of centuries ago. I love Rome and found it very riveting even though my stay was short. It’s on my list of ‘must go back’ places. VENICE It’s so easy to get lost in the streets here but that’s half the fun of Venice. Wind down the narrow streets, cross a bridge, take photos, take a water taxi. 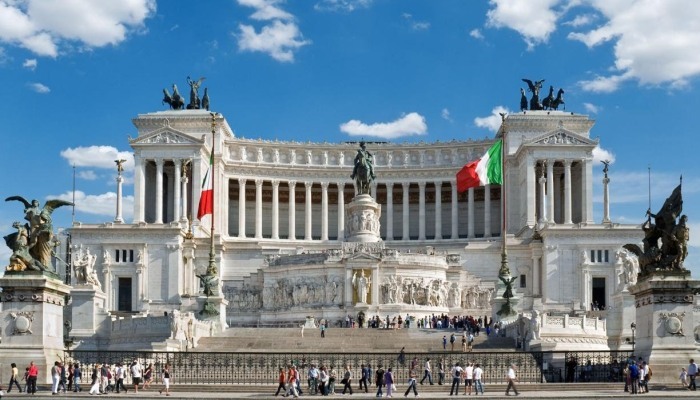 Visit the many plazas and basilicas. Shop or just browse. Venice attracts tourist like it’s going out of fashion. If you are staying in Venice Mestre then there is a good bus system into Venice itself. It’s a hard place to describe. I think I will settle for my photos telling the story. Go, enjoy and reminisce, it truly is a remarkable and adorable city. If you can avoid it don’t take a train in Italy. Sadly they are dirty, slow, crowded and uncomfortable. It took me 12hrs to get from Siracusa in Sicily to Rome. All the time I was sitting in the corridor. You don’t have to buy a ticket, you can just get on and pay when the ticket man comes along. Take a bus for sure on the island of Sicily as they are much quicker than the trains. Be careful crossing the streets as pedestrians don’t have right of way. There seems to be no road rules at all. They’re worse than Brazilians and I thought they were bad! If you go to a cafe for a coffee and wonder why they all stand to have it? It’s half the price if you stand up to drink it. Oh yes! and it’s not hot. I assume that’s so they can have it quick and get on. Don’t actually like Italian coffee. 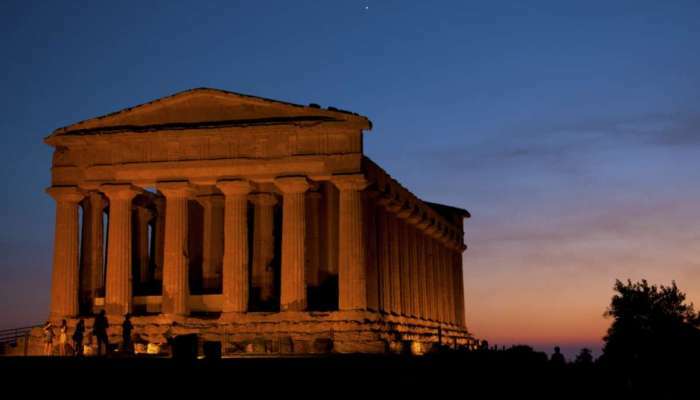 In Agrigento you have to buy your tickets before hopping on the bus to go to the Valley of the Temples or the beach. When in the town ask at the tourist information centre and buy several as the other office is at the north end of the beach in a cafe that’s got no sign telling you you can purchase them there. In Siracusa go walking and go to the south side of Ortegia to get great sunset photos. Do Trevi Fountain and the Colessum at night as well as day. Again your photos will be so different. It’s very safe in Rome. Pack in as much as you can as there is lots. From Catania on the island of Sicily you can go climb Mt Etna.